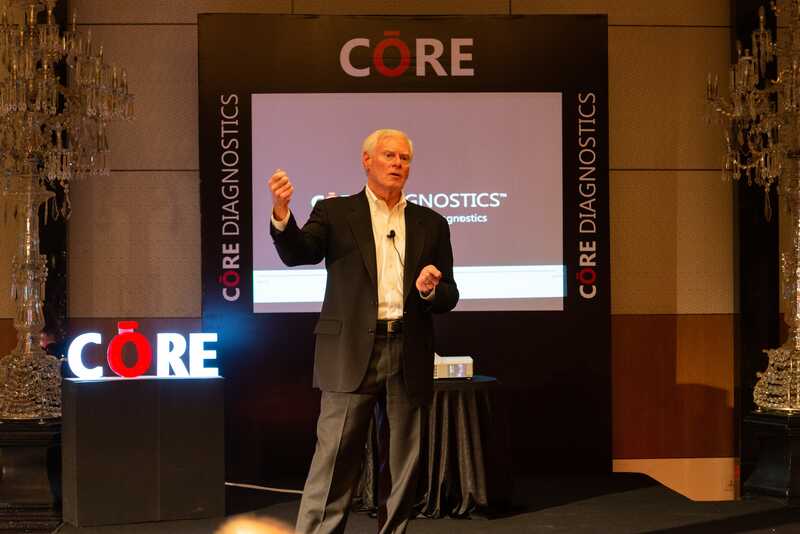 CORE Diagnostics, a healthcare startup and the go-to institution for high-end clinical diagnostics organized a healthcare meet on “Precision medicine: Progress and Promise” at The Oberoi, New Delhi. Precision medicine (PM) is an advanced, data-driven approach that helps select the best treatment option, customized for each patient. The event was inaugurated by keynote speaker Mr. Jay Flatley who serves as the Executive Chairman of the Board of Directors, Illumina; a global leader in genomic sequencing and array-based technologies for application in the life sciences, oncology, reproductive health and other emerging segments. Mr. Flatley commented, “Precision medicine harnesses patient-specific data to create therapeutic options exclusively tailored to individual patients.” Among other diseases, various forms of cancer, when managed with this approach, improve the chance of survival with fewer adverse side effects, reduced exposure to harmful radiations, and increase the overall effectiveness of care. His keynote focused on the evolution of genomics over the past two decades, where the cost of sequencing the whole genome of a person went from over several billion dollars, to less than $1000, with a hundred-dollar target well within the near term horizon. A large-scale population study with an Indian cohort is the much needed next step in understanding disease patterns that are specific to people of Indian origin – such as propensity to diabetes, metabolic disorders, cardiovascular disease, several types of cancer. Illumina is a global leader and top-of-the-line sequencer and array-based technologies, serving customers in the research, clinical and applied markets that focuses in improving human health. The company’s products are used for applications in the life sciences, oncology, reproductive health, agriculture and other emerging segments. The company has also been named multiple times to the Deloitte & Touche Fast 50 and Fast 500 lists, as well as to the Forbes 25 Fastest-Growing Tech Companies, the Fortune 100 Fastest-Growing Companies lists, and recognition by MIT Technology Review as the World’s Smartest Company in 2014. To learn more, please visit www.illumina.com .